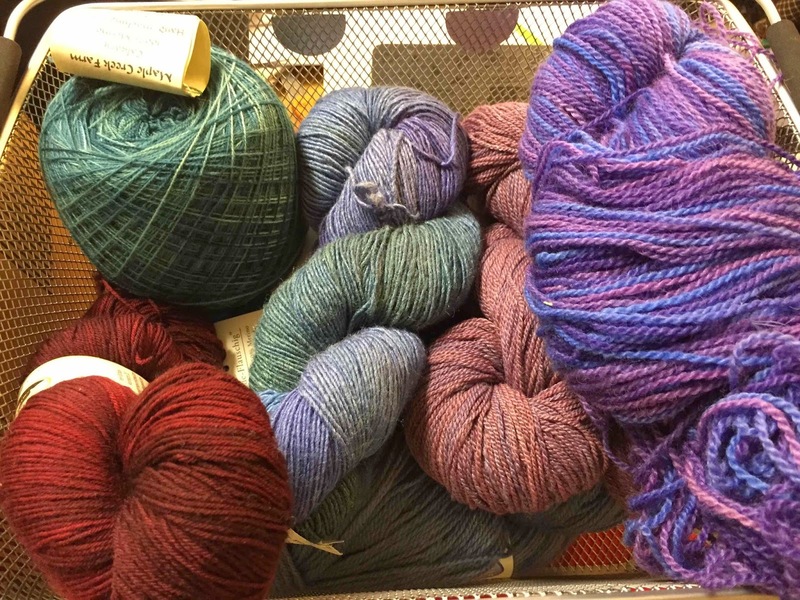 meaningful threads: Am I a hoarder? Last night I finished reading Jo Maeder's "When I Married My Mother," a poignant memoir of a woman who changes her life to care for her aging mother who was a hoarder. The tale is of human frailty and extraordinary kindness. It was a warm and thought-provoking book. Then today I walked into my workroom. It is still being organized, but I had reason to see progress since the beginning of the year. I have organized the stacks of fabric destined for a yarn-related project and consolidated my kumihimo supplies. Those balls of crochet cotton that I use to trim swaddling blankets for babies aren't put away yet, but they're in one place. Two stashes, however, are seriously out of control. One is roving. 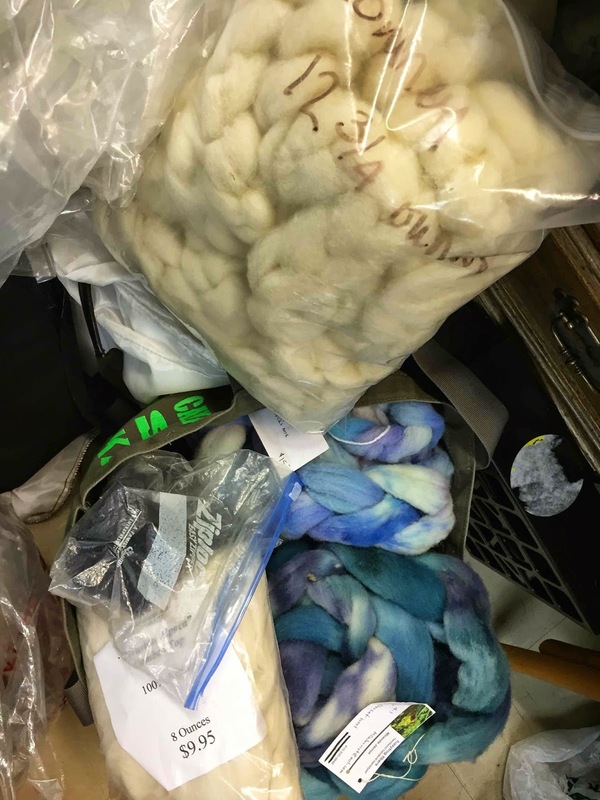 I have a plan to decrease the Coopworth, Tunis, Dorset, Romney, Alpaca, and Merino roving and combed tops by make spinning a priority and scheduling regular spinning time. So far, I've been pretty compliant with the plan. The yarn stash is another problem. And it's a huge one. I see beautiful yarn and although I swear I'm not buying any more until I use some of my stash up, I continue to fail. And fail miserably I do. I am a complete and total sucker for the stuff. 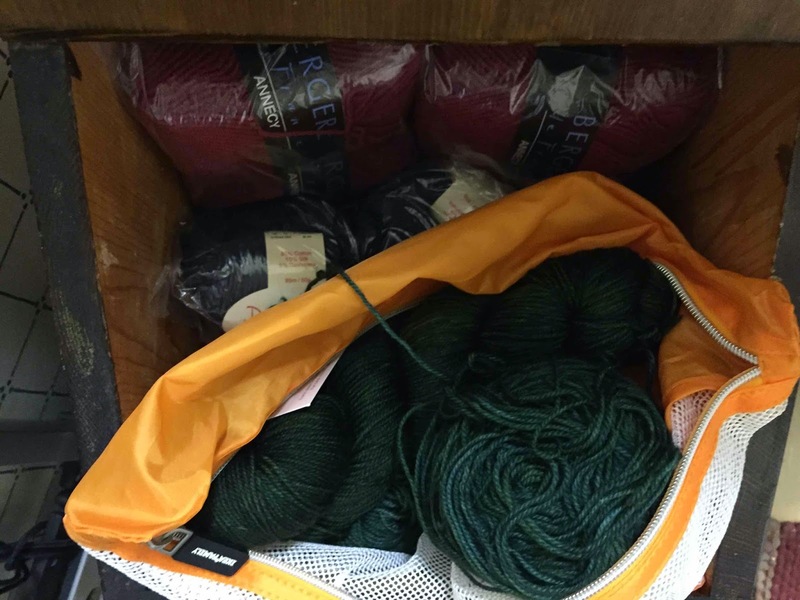 So it is no surprise that I have found a boat load of lovely yarn. Some is really, really dated. I have yarn that I dyed with marigolds to make my daughter an Aran sweater when she was four. (She's now ten times that.) And I have Falkland Island Aran-weight yarn that I bought in in England in 1982 just after the British-Argentinian stand-off. As I think about it, I'm giving myself a point for not having any yarn from the first sweater I made my husband before we were married. I have made progress, but today while tidying I noticed a small wooden box made to hold 10 pounds of potatoes that my father made. And, yes, you guessed it. It was full of yarn. When I opened that slanting lid, it hit me hard: OMG! Am I a hoarder?